As I put my thoughts together for this blog post, I can’t help but think that there are a number of other companies that can both relate to what I am going to write about as well as empathize with it. Up for discussion today, the cost associated with Menu Board Design. To put it simply, there is no easy way to charge for design. If you attach an hourly rate, it gets called in to question, if you combine it with a particular display fixture, you may price yourself out. Added to this, is the unknown factor of how the design process will go with the individual(s) or company you are working with. On the rare occasion you’ll get the A- “one and done” folks, where you lay it out and they approve on the spot. On the other end of the spectrum, you have B- those who provide very little guidance, suggest that “you are the professionals,” send revisions in peace-meal, finally approve and need it yesterday. What is unfortunate, is that the majority tend to lay in the middle with a slight lean towards B. To combat this, companies like ourselves have taken measures to account for this time. For example, capping revisions at three, and/or mandating that all revisions are sent in one document, and/or requiring the menu to be sent in a “copy and paste-able” format. All of this is fine and good, however this only accounts for a fraction of what goes in to the total “design time” and its cost. Again, collecting this is one thing, going through it and discussing it is another. ”OK, so under the Appetizers we are changing this to that, adding these items, and getting rid of those.” This is just a snippet of the types of conversations that are had. Design & Layout process: Much of this was covered above in the introduction. It is important to keep in mind that there is a dollar amount attached to each and every minute your designer is working on your layout. Managing the relationship & expectations: The subsequent emails, calls and dialogue to decipher the requested changes are often overlooked as well. Depending on an organizations size and/or each designers current workload, they can be working on anywhere from 1 to 100 projects at any given time. It is understandable that the end-users only concern, and rightfully so, is that their menu gets maximum TLC. This alone becomes a relationship management skill that designers take on as well. Setting files up for production: Over the course of the layout and review process, lighter files have been designed and shared via email for ease of transmission. When the approval comes through, the layout now has to be set up for production. What this can and often does include is defining cut lines for individual strips and digits along with the graphics themselves. With drive-thru menu boards, exceeding 100+ elements happens in the blink of an eye. Full graphics you say? Not only is that time made up on the design given its greater flexibility but often times people would like to use stickers meaning decimals and faint hairlines have to be placed with precision for price alignment. General overhead: Unlike contacting a freelance designer who works out of their house when the kids are at school, menu board companies carry significant overhead above and beyond a person’s time. There is the building, manufacturing & printing equipment, design software, payroll, computers, cubicles… I think you get the point. Expert Design: Can you google or Craigslist “freelance designer in (insert town you live)” and get hundreds of “viable” options? Sure you can. However much like many other industries, you wouldn’t or shouldn’t go outside of the one your are getting work done to accomplish what you need. Just because their both footwear, you wouldn’t wear a pair of flip-flops to play basketball would you? We’re not a sign shop: Menu board companies were manufacturers first and became experts in design because out of necessity. It is what the market wanted and needed. The “I can get a this by that printed at Signazon for a 1/3 of the price” are conversations that shouldn’t have been had. Yes, if you were to send us a production file ready for print our pricing would decrease. Signazon points out how easy it is for a non-expert to do this right HERE. Above and beyond the design aspect, menu board companies provide solutions to meet a need and influence purchasing decisions. If you want a CHEAP sign, there are alternatives. Having read all of that, perhaps it now makes more sense as to why we and similar companies charge what we do for design. Further, it should also justify the “getting-of-my-goat” when people try to negotiate the price of design. A prime example, I had a woman who was renovating her deli and looking for 4 new menu boards. We established a cost per panel which always includes design. I was asked what the cost would be if she didn’t need the design. I responded with, “does that mean you are going to send us print-ready files at the exact size needed in a format that is acceptable on our end to print?” Silence… until she responded with, “no but I will tell you exactly what I want; it will be very simple.” Take a look above, maybe we save a little bit of time with the design and layout process. Hardly worth a discount. What do you think? 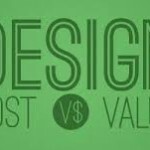 Do you still find the cost of the design work unjustified or have we spawned and “ah” moment? We’d love to hear either way. 888-235-2579 | info@origindisplays.com | comment below!